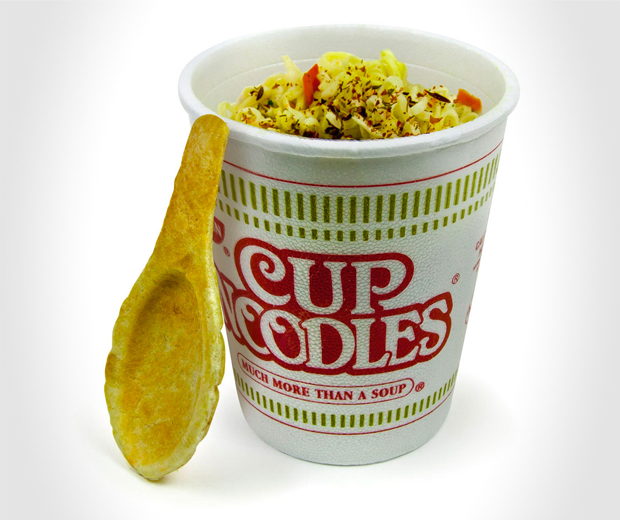 Have you ever looked at a spoon and thought…I wish I could eat that? No me neither, but I am constantly wondering how I can somehow consume more calories with less effort. 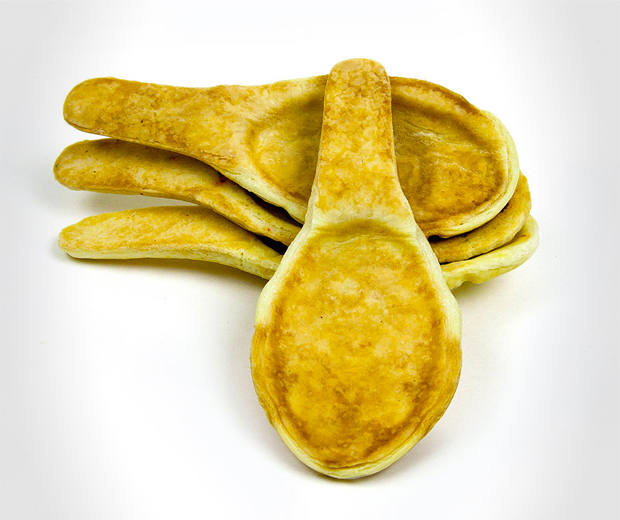 Thankfully this Edible Spoon Maker solves both problems! 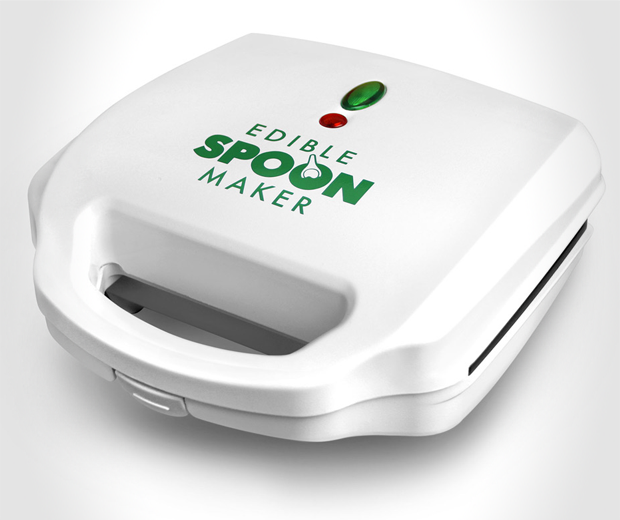 The machine works like a waffle maker, allowing you to slop in any kind of dough you want and form an edible spoon in mere minutes. 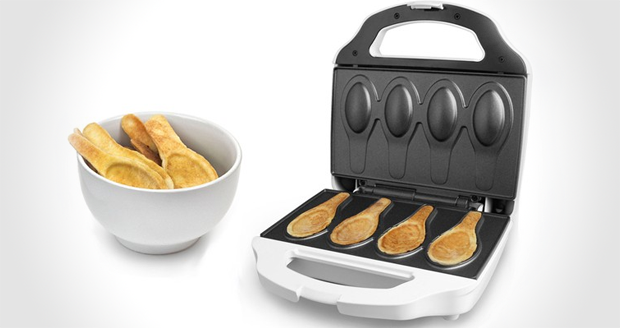 If only there was some kind of machine that made plates out of gravy, then we’d get to eat all our dinnerware and never need do dishes again. Quit dicking around trying to cure cancer scientists and get on this!